When Hank was a puppy, he wasn’t sure what to think of bodies of water. He still hates the rain, but he has come to love swimming and water sports. We were so surprised when he really became a water dog because he was so skeptical as a young pup. It’s fun to watch your dog learn how to swim but can be pretty scary at the same time. For the most part, Hank is a pretty strong swimmer… when he remembers he needs to be swimming. For all the times he forgets, we’re glad he has his Ruffwear Float Coat. 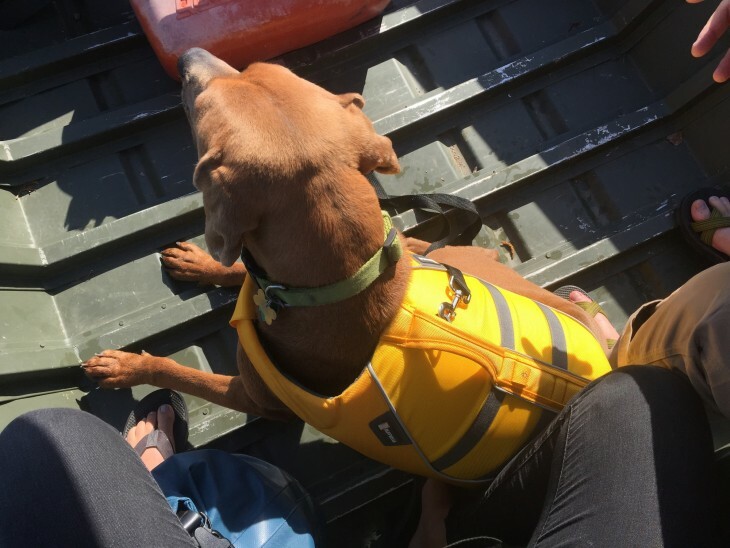 Whenever we’re on a boat in deep water, canoeing across open water, or enticing hank to jump off the end of a dock to retrieve a stick, he will most likely have his Float Coat on. We have yet to take Hank rafting or SUPing but when we do, he will always have his Float Coat. 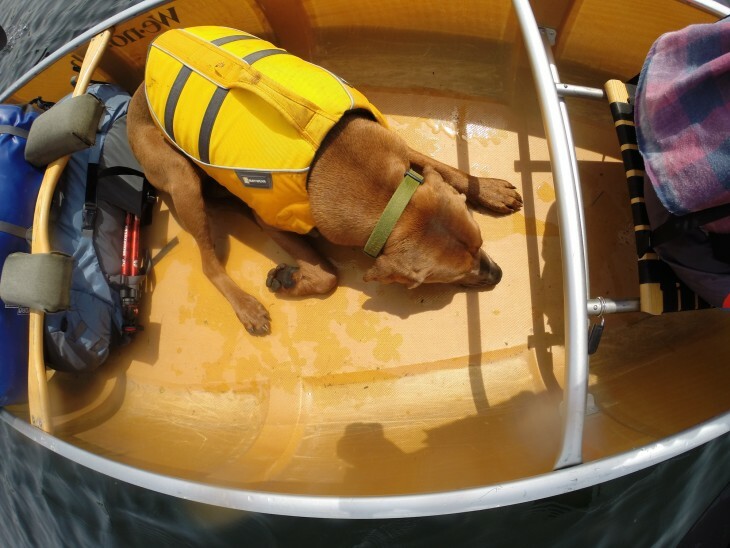 Even if your dog is an amazing swimmer, it’s still important to have a Float Coat for many reasons. I am a good swimmer as a human but I still wear a PFD when I go rafting. The same theory should apply for your dog. 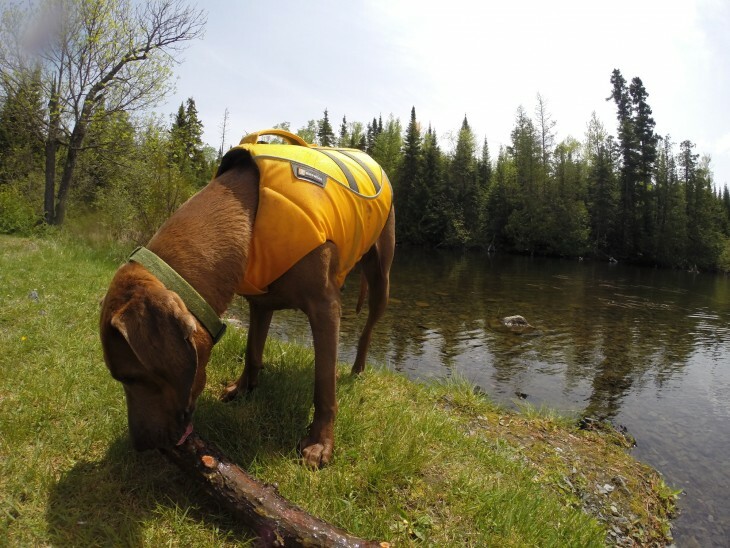 For the same reason that you wouldn’t wear a PFD that would easily fall off, we highly recommend Ruffwear’s Float Coat as one of the safest out there. First of all, there is not a releasable clasp on the chest of the Float Coat. While the closure is adjustable (and garaged by a telescoping sleeve), it is permanently attached preventing any accidental unfastening or breaking which would allow your dog to slip out. The buckles under the belly have their own garage, ensuring that they will not catch on any debris or boating gear. These are also very adjustable so you can get an accurate fit on your pup. One of the most important features of the Float Coat is the strong handle strategically placed between the shoulders. We use this all the time whether we are trying to get Hank in the boat or hanging out with him in the deep water. I can imagine that in an emergency situation, without the handle you would be at a loss. 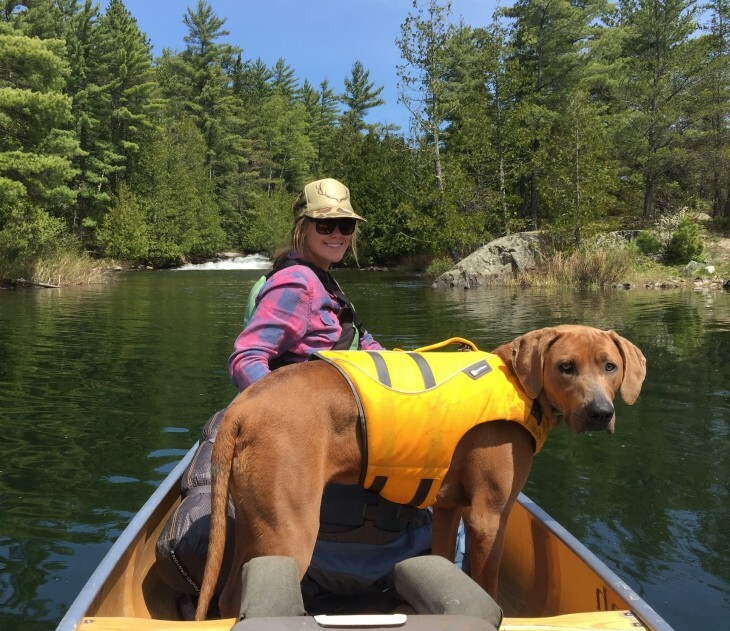 Ruffwear pays close attention to detail and uses high quality products to ensure that, in an emergency or daily life, this canine PFD will not fail. 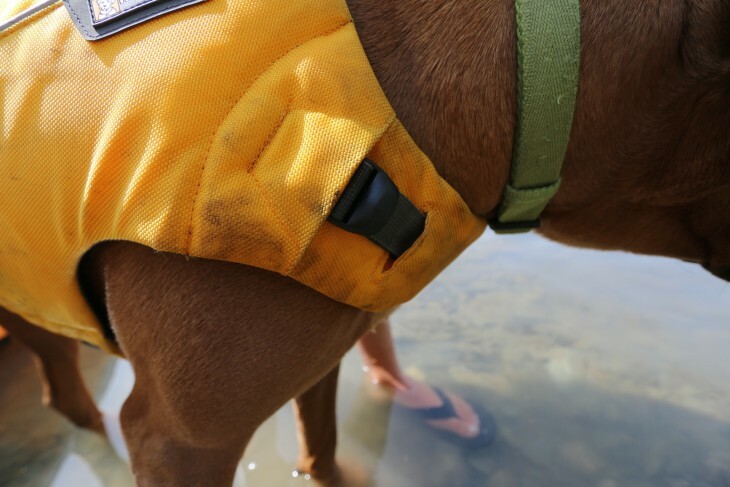 Reflective trim and a light and a leash loop are just a few more ways to show that Ruffwear was serious about safety and functionality when designing the Float Coat. Hank could spend all day in his Float Coat and he can swim easily and comfortably, as the coat does not restrict any range of motion. We got the yellow color, which is great for visibility and brings out the color in Hank’s eyes. 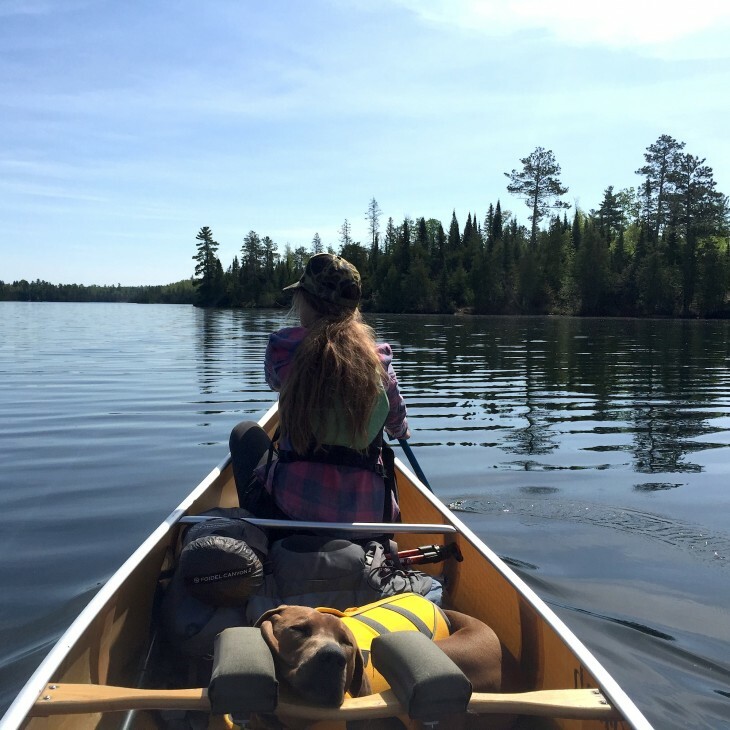 If you and your dog are water-sports addicts or adventurers, you should definitely be able to justify spending $80 that could potentially save your dog’s life one day. You won’t be disappointed if you pick up a Float Coat for your dog and he or she will thank you later in forms of sweet slobbery kisses. Be sure to check out Ruffwear for sweaters, leashes, travel gear, beds, and much much more! If you prefer more comfortable boats, check out https://www.intrepidpowerboats.com/boats/.